Habitat for Humanity of Roosevelt and Curry Counties became an affiliate of HFH, International in November, 1999, serving the New Mexico counties of Roosevelt (county seat is Portales, NM) and Curry (county seat is in Clovis). The first home built by the affiliate in Portales was completed and the dedication held on March 8, 2003. The first Clovis home was completed and dedicated on August 30, 2005. The ultimate goal of Habitat for Humanity is to eliminate poverty housing and homelessness by building basic but adequate housing. All our words and actions are for the purpose of putting shelter in the hearts and minds of people in such a way that poverty housing and homelessness become socially, politically and religiously unacceptable in our nation and world. Our immediate goal is to provide an affordable housing alternative to those who would otherwise be unable to live in a decent quality home of their own. The community also benefits by increased home ownership and home quality among lower-income residents. This is a "win-win" situation for everyone. MISSION VISION: A world where everyeone has a decent place to live. MISSION STATEMENT: Seeking to put God's love into action, Habitat for Humanity brings people together to build homes, communities and hope. This affiliate is largely supported from funds and donations raised locally. All donations are used as designated by the donor. Any undesignated gifts are used where most needed, and a 10% tithe is shared with global building projects around the world. We have so far funded more then 15 homes around the world. 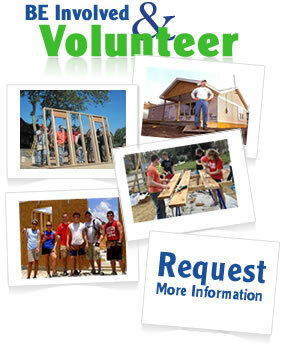 Habitat for Humanity accepts volunteers to work with the affiliate. 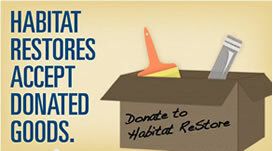 Habitat also encourages prayer, monetary contributions, and donations of labor and other materials. You can help make this vision a reality by your partnership with Habitat. To donate your time, resources and talents to Habitat for Humanity, simply contact the office as listed below for more information. If you call the office and no one is there to take your call, please leave a message and we will get back to you as soon as possible. Graphisoft is a leading provider of computer-aided design (CAD) software solutions for the architectural profession and the building industry. Founded in 1982, Graphisoft is ranked today among the largest AEC CAD software developers in the world, with 12 offices all over the world in addition to its headquarters. Graphisoft's flagship product, ArchiCAD, is used by more than 75,000 architects worldwide and distributed in 25 languages and 80 countries.